First Responder Awareness (FRA) Level are those individuals who "are likely to witness or discover" the release of a hazardous substance and "who have been trained to initiate an emergency response sequence by notifying the proper authorities of the release." It is their duty to notify the proper authorities of the release. In applying OSHA's standards, it is important to look to the statutory purpose which is to protect workers. The training requirements of both the Hazard Communication Standard, 29 CFR 1910.1200 (HAZCOM) and the Hazardous Waste Operations and Emergency Response standards must be applied in a way which will provide meaningful and adequate training to the workers to ensure their safety. More employees are likely to be covered by the training requirements of HAZCOM than the population of First Responders under 29 CFR 1910.120. However, it is important that the population of adequately trained First Responders be large enough to provide the necessary protection in the event of an emergency. The requirements for HAZCOM and the Hazardous Waste Operations standard are different. 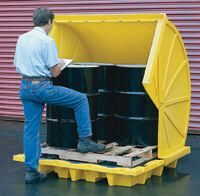 Different items must be covered to meet the training requirements of each. The extent of the overlap of the training requirements will vary depending upon the workplace situation. What is imperative is that the training be adequate, which in some instances may be achieved by consolidated training under both standards and sometimes may not. Again, the training must be tailored to meet the workplace situation. The requirements of the standard, including the training of employees, must be met by the effective date of the standard, March 6, 1990. The final standard was published in March 1989, and the interim standard has been in effect since December 1989. Currently, 29 CFR 1910.120 does not include a formal certification program for trainers. On January 26, 1990, OSHA published a Notice of Proposed Rulemaking on the Accreditation of Training Programs for Hazardous Waste Operations. OSHA did not propose accreditation requirements for Emergency Response, but invited public comment on this issue. See 55 Federal Register 2776 (January 26, 1990) for additional information on the proposal. What is essential is that employees are properly trained. If certain Boeing staff members are able to competently train other employees, such training would be sufficient. 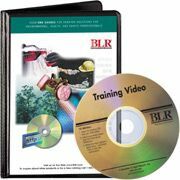 A video-only approach would be sufficient only if it can fully assure employee knowledge and skills. Providing someone to respond to employees' questions after the video presentations could meet this goal. The proposal was published in Federal Register notice of January 26, 1990. The 90-day comment period ends on April 26, 1990.